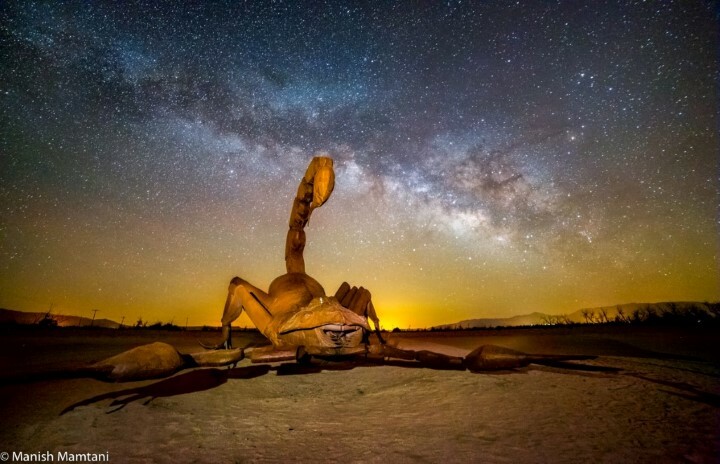 “It is fun to watch these sculptures in the day, but during the night, with the Milky Way, they become even more beautiful,” Mamtani told Space.com in an email. Mamtani also posed for an epic selfie with the silhouette of a Breceda’s dragon statue as an iron companion. In another photo, The headlights of a jeep appear to shine across the Milky Way and out into deep space.